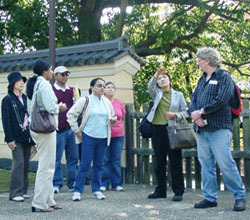 JGA or Japan Guide Association is the second oldest non-profitable organization, just next to Japan Hot Spring Association. It is under the control of Ministry of Land, Infrastructure and Transport. It was founded in 1940 for licensed tour guides of foreign language (or simply "the guides") and has been serving for the members of JGA all over Japan since. Those who have got the license, please join us. Those who are interested in the guides' job, or those who are looking for the guides, please look at our web site. 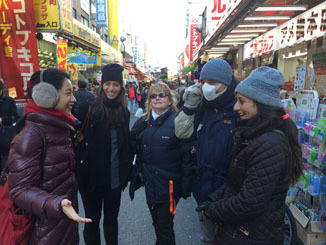 The All Japan National Certified Guide-Interpreters Organization Establishes a Voluntary Language Support Team for the Great Tohoku Earthquake. Copyright (C) 1999-2018 JGA (Japan Guide Association). All rights reserved.